Our police, firefighters, and emergency rescue personnel are on the frontlines every day in America, working to keep us safe. Their jobs can be stressful – even life-threatening – but they are trained on how to handle a variety of situations in an appropriate manner. So it makes it all the more difficult to understand the behavior of law enforcement during a recent raid – one that left a young boy traumatized. On February 10th, police raided the last known address of a man who had an outstanding warrant for possession and distribution of the drug Ecstasy. More than 15 officers barraged the home with guns drawn and spewing profanity, without first confirming the presence of the man in question. They ransacked the home, prying doors off their hinges and removing paneling from the walls. It was reported that they even threw hydrogen peroxide on several of the adults present and poured vodka onto piles of clothes. A television was tossed to the ground and shattered, all while the residents of the home watched in horror. The adults requested a search warrant and demanded answers, but were given none. They did not resist police, and for their questions, they were handcuffed in front of several children. The worst part? Well, family and friends were gathered at this apartment to celebrate the fourth birthday of a special little boy. Then, on their way out the door – after having found neither their suspect nor any contraband — they purposely knocked the child’s birthday cake to the ground and then stuck his number “4” candle in the smashed mess. The damage and trauma caused by these officers would have been bad enough for innocent bystanders who were unaware someone in their presence had a warrant. But the problem is, the man in question had moved away – five years earlier – and no one at the home knew anything about him. The boy’s mother, Stephanie Bures, as well as his aunt, have filed a federal civil rights lawsuit against the police department and the City of Chicago. The four children present in the home, including 4-year-old Terrence, are traumatized after having guns pointed at them at what was to have been a fun celebration. The lawsuit claims the officers used excessive force and caused extensive damage to the family’s home, as well as violating the adults’ rights when they refused to explain or show the search warrant until they left. Al Hofeld, Jr. is the attorney representing the family, and this is one of four cases he has taken in which Chicago police were accused of using excessive force against children. He’s particularly disgusted with the purposeful destruction of the child’s birthday cake, a response that was completely out of line and unnecessary. “It was a cruel, dehumanizing joke that mocked and symbolized a 4-year-old’s ruined birthday party,” Hofeld stated, according to the Chicago Tribune. Just last year, a similar lawsuit was filed against the city and its police department when officers pointed a gun at the chest of a 3-year-old girl. Just as in the case with the Bures family, they had raided the wrong address. In that suit, the city settled with the family for $2.5 million dollars. Bures says Terrence is afraid to go to school, shows clear signs of trauma, and is petrified of the police. His 7-year-old sister thought her whole family was going to die. This is not the example the children need to see from those who vow to protect and serve. It is tragic that these officers have tarnished the reputation of such a noble profession. “To hear her say that, to worry about her or her brother getting shot by someone that is supposed to protect and serve them, it’s terrifying. It’s horrible,” said their mom, according to the Tribune. A spokesman for the Chicago Police Department declined to make a comment on the case or the lawsuit, which he says has not yet been served on the city to his knowledge. This traumatic scene could have been avoided had the officers in question taken an adult quietly out of the presence of the children to inquire whether or not they had the correct home. 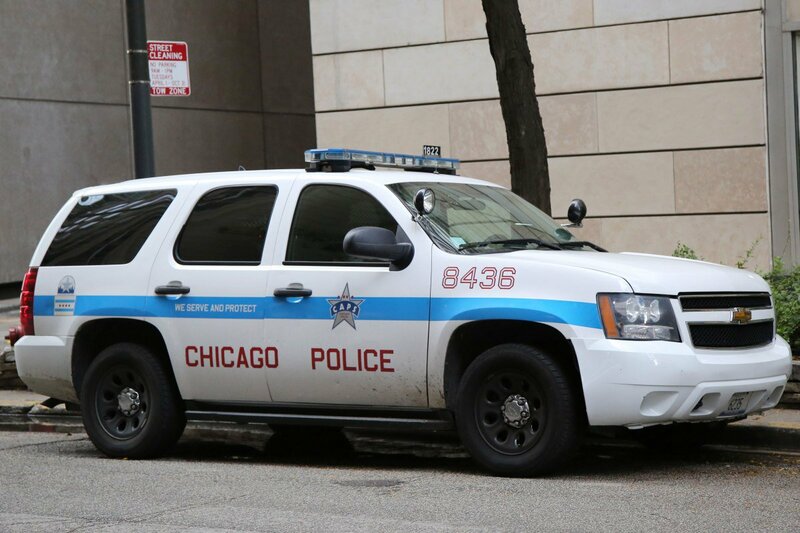 It is not enough to issue a public statement of apology or pay damages – neither of which the City of Chicago or its police department has done yet. Perhaps the officers who used such poor judgment should throw little Terrence a birthday party, complete with the best cake they can find. And maybe then they can sit these children down and explain adults make mistakes, that the police really are there to help them, and that they are profoundly sorry for frightening them. Maybe that would help Terrence to deal with the trauma that he has undergone as a result of this gross miscarriage of justice, and maybe the officers will learn a thing or two in the process. What do you think about the way officers from the Chicago Police Department handled this situation? What do you think the city should do to address this, given this is not an isolated incident?